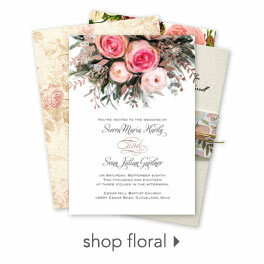 Let pink watercolor flowers represent the beauty of your love on this floral response card. The two-sided card features your wording on the front and pink stripes on the back. Your wording is printed in your choice of colors and fonts. Includes envelopes.